7 Tips To Nail Your Posing Game | Shoot & Share | Helping Photographers Book More Clients. I often look at my photos, and I take inventory. I critique my lighting, my composition and framing, and my post-processing. Then I look at my posing. Too many times, mediocre posing has ruined a fantastic photo. And its because of this, that I took it upon myself to make posing a main focus of improving my craft in 2016. Lets face it, being great at something requires a strong foundation. We know that, as professionals, all aspects of our business and craft have to be solid. Lets talk about some foundational guidelines to posing. I say “guidelines” instead of “rules” because the latter are meant to be broken. My hope for you today is that you can take these, apply them to your own craft, and then alter them to make them work for you. Let’s get down to it. Lets face it: photo sessions don’t feel natural to people. Well, they feel natural to us photographers, but for our subjects it can be a really uncomfortable deal. Thats why its important to ease them into a photo session. Start with easy, traditional poses that feel a little more natural. As all good photographers know, a good pose won’t always feel natural, but it will look natural, and that is our ultimate end goal. But for our clients’ sake, lets ease them into the hard stuff. Confession time. I love my 24-70mm lens. Its my “go-to” wedding lens. Its just so dang convenient, and it works really well during ceremonies when I may not have enough time to change my prime lenses to get all the proper angles I need in order to get adequate coverage of my client’s wedding day. Because of this, my 24-70mm has also become my “lazy lens”. Its almost TOO convenient. And it isn’t the most flattering lens I could use on my subjects during their portraits. This is because the longer the focal length, the more compression occurs and therefore can “lessen” certain features. Portraits shot with a longer focal length tend to be much more flattering. Like focal length, composition and cropping do not directly impact your posing ability. However, it compliments the posing, just like your aperture setting effects your shutter speed and ISO, ultimately impacting the final outcome the three create. Composition and cropping matters when considering great posing technique. Where you place your subject within a scene, where you place that subject within your viewfinder, and how you decide to crop your subject can all play a large part in how well a pose is received in a photo. Beautiful curvy subjects can be slimmed due to a flattering pose, great composition, and a little cropping. If your photographing a couple with differing heights, clever posing coupled with strategic cropping can make all the difference. Often, when talking to other photographers and giving posing tips, one thing I’ll see over and over again is that the photographer will pose and pay particular attention to the face, neck and shoulders, then ignore the rest of the body. I suppose this would be fine if you were only composing for an intimate, close-up photo of your subject, but even in that scenario, you’re limiting your opportunities to get a bit of variety out of the same pose. Start from the ground up. It helps for you to take inventory of all the smaller details of your subject, and to make sure that you haven’t missed anything. Pose their feet and legs first, followed by torso arms and hands, then lastly face. It will help to make a completed pose, and from there you’re able to get multiple angles and compositions of the same pose, giving you more variety in a smaller period of time. When I meet clients for their consultation, one of the requests I hear most often goes something like this, “I really only want natural candids of myself!” Me” “PERFECT! Lets stick this giant camera in your face and expect you to act completely naturally, while posing in a manner that may not feel natural and hope for the best!” Just kidding, I don’t actually say that, but I’ve totally thought it….to myself. The fact of the matter is, candids can be difficult for a primary photographer to achieve! People are hyper aware of our gigantic cameras, and when we’re interacting with them and posing them, it can be really difficult to melt away into the background so that our subjects feel comfortable enough to naturally express themselves. My solution to this is what I’ve deemed a “posed candid”. For example, when I photograph my wedding clients, I’ll pose them in a pretty location, then ask the groom to whisper something funny in the bride’s ear. Another great mini game I play is having my subject shoutout trivia answers to questions I ask. This, more often than not, causes them to laugh in the moment, and I end up getting some great shots. The key to posed candids, though, is not forgetting the “posed” portion. I still pose my subjects before giving them scenarios. Take some time to sit and brainstorm some great mini games or scenarios for your clients to try. Nothing will cause your pose to look incomplete more than your subjects hands dangling at their sides, doing nothing. Whether it be hands in pockets, grabbing onto a lapel, holding a bouquet, or having an arm around another person, it is imperative that the hands have a job. And once you give your subject’s hands something to do, the next detail to pay close attention to is how relaxed their fingers are. If, after you’ve placed the hands while posing, the subjects fingers still look stiff, as your subject to soften their fingers, or shake their hand out to relax it a bit. You should look at posing as a complete process. Break your subject up into three parts: feet/legs, torso/arms/hands, neck/head/facial features. Check to make sure all details are covered, and that you’ve placed your subject in a complete pose. Posing from the ground up, pay attention first to the feet and legs, then the torso, arms and hands, and lastly, pose the neck and head, ending last with your subjects facial features (eyes, mouth, chin). You know what they say, the devil is in the details, and the same is true about posing. Photographers who you respect for great posing technique, achieve it by having close attention to detail. And as is true with everything, practice makes perfect. To help you with your posing game, I’ll end with a handy “quick tips” list to help give you a great posing foundation during your next photo session! Happy Shooting! 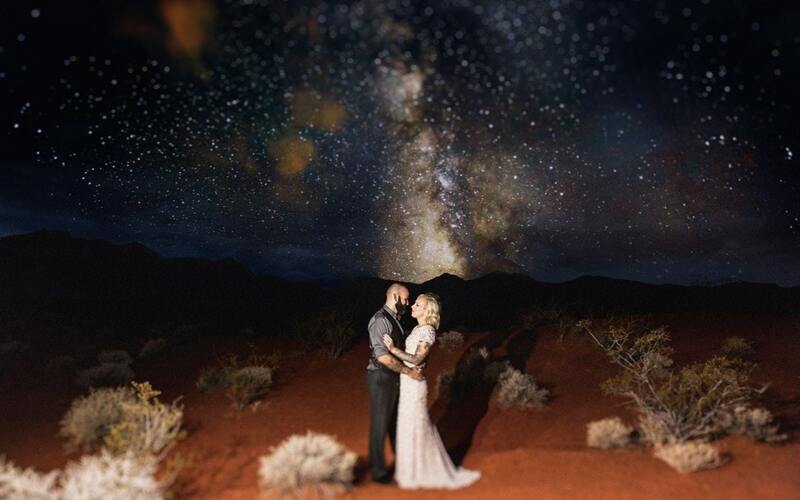 Danette is a Las Vegas based wedding photographer who’s company is called The Amberlight Collective. She’s photographed over 2,000 weddings, elopements, and engagements and has been featured on numerous online publications and blogs including Forbes, The Knot, and WeddingWire. She leads a local group in Las Vegas for other creative professionals under The Rising Tide Society and loves mentoring other business professionals in her area. In her spare time she enjoys slaying in Black Ops 3, driving her Mini Cooper, and cuddling with her mean cat.